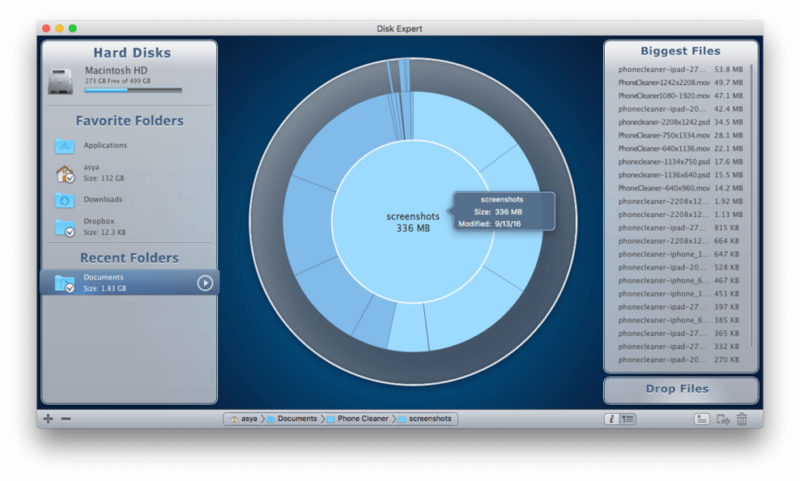 Disk Expert is an app that scans your disk and provides detailed information on disk space usage. It allows you to find the largest files and folders on your hard drive, move them or delete unnecessary items to free up the disk space. When you analyze your files and folders with Disk Expert, you can view the total size of each file and the date it was last modified. this helps to locate the oldest and largest files. It is also possible to call a file’s info box. Use Command+I shortcut to do this.